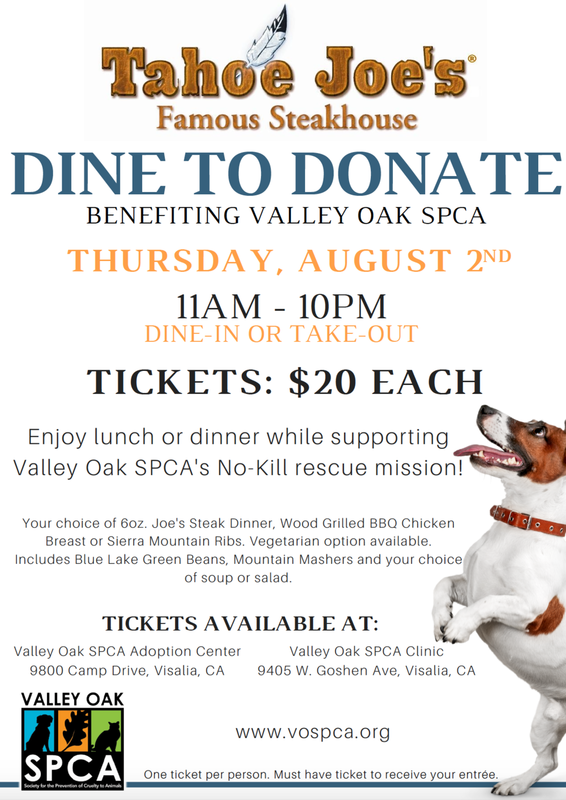 Join us at Tahoe Joe's (Visalia, CA) in Visalia on Thursday, August 2nd for our Dine to Donate event! Tickets are $20 each and can be purchased at our adoption center or veterinary clinic! For additional questions about the event or purchasing tickets, please email mdavis@vospca.org.